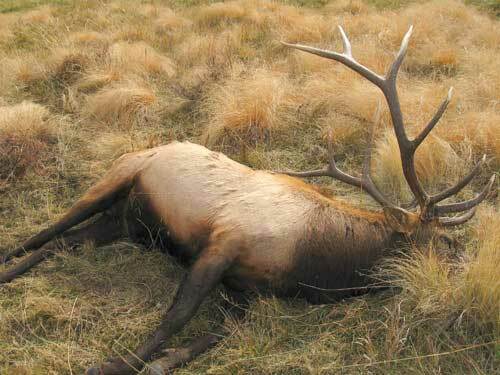 JEMEZ SPRINGS – The Department of Game and Fish and Operation Game Thief are offering a reward up to $750 for information about a trophy bull elk that was shot and left to rot at the Valles Caldera National Preserve. The large elk had antlers with six points on each side. It was shot with a rifle at about 7 a.m. Oct. 18 near Forest Road 268 near the main entrance gate to the preserve. “It appears that someone drove up, shot the bull and left the scene in a hurry to prevent being caught,” said Blake Swanson, district conservation officer for the Jemez Mountains. He said there was a legal hunt occurring at the time and the crime is under investigation. Anyone with information that could lead to an arrest or charges filed in this case is encouraged to contact Operation Game Thief toll-free at (800) 432-4263. Callers can remain anonymous and may be eligible for a reward up to $750. SANTA FE – The Department of Game and Fish will temporarily disable online sales of hunting and fishing licenses and stamps Saturday, Oct. 23, and possibly Sunday, Oct. 24, for routine equipment maintenance. Online signups for hunter education classes also will be unavailable at that time. Hunters and anglers who need licenses or stamps can purchase them at any of more than 200 license vendors statewide. The Department website, www.wildlife.state.nm.us, will remain operational. The online license sales system will be available by Monday, Oct. 25, at the latest.